AZ Fine Time Blog – News and more about great boutique brand watches! A ground breaking day has occurred in watchmaking. On June 18th 2014, Citizen announced the introduction of a new collection in their stunning Campanola series. 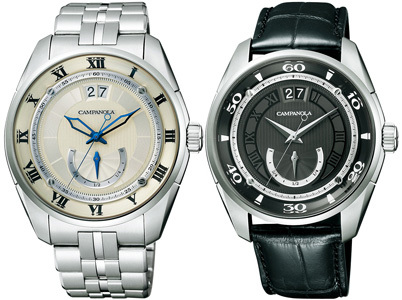 These new Campanola models will be the first to feature mechanical self-winding movements. Campanola Automatics are not the ground breaking news I was discussing. What is, is that the mechanical calibers featured in these two new pieces are actually manufactured in La Choux De Fonds, Switzerland and assembled in Japan! In March of 2012, Citizen Japan announced its purchase of the holding company Prothor, which owns the incredible Swiss movement manufacuture La Joux Perret. LJP produces parts, movements and complications for a huge list of watch companies such as Hublot, Panerai, Corum, Graham, Eberhard & Co. and many more. 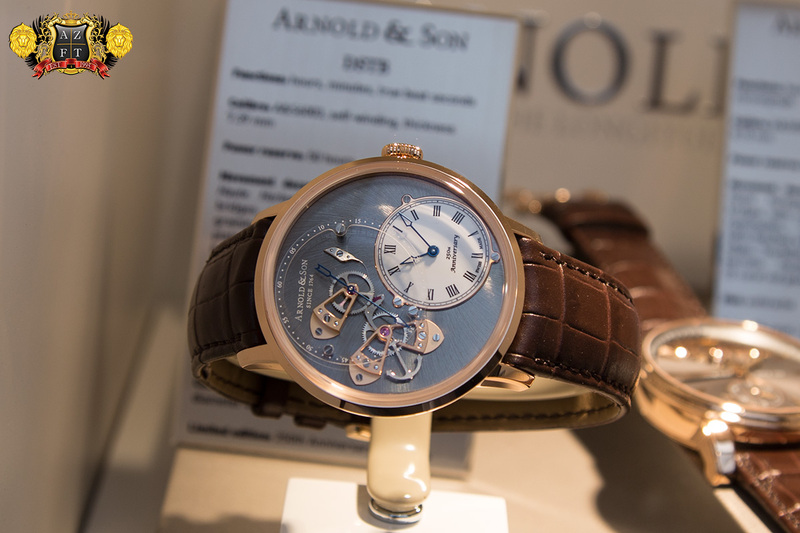 They are also renowned for their own brand, Arnold & Son. During the year of the 150th anniversary of Swiss – Japanese trade, Citizen has introduced the first true Swiss – Japanese hybrid. In a day and age where movements are becoming increasingly difficult to obtain, watch companies need alternative movement manufactures in order to stop relying on Swatch Group owned ETA. Swatch Group has made it loud and clear over the years that they wish to reduce ( or more ultimately stop providing completely) ETA movements to companies outside of Swatch. One of the biggest hurdles in this is that ETA is the most commonly used movements in the Swiss watch industry. Sellita movements have become a great alternative to ETA for most watch brands, however, the one thing they still have to buy from Swatch is hairspring. The Swatch owned company Nivarox is the largest (near only) source right now for hairspring and there aren’t many other companies out there who provide it. Interestingly enough, other parts for Sellita are provided by La Joux Perret, and the tie with Citizen is where it gets really interesting. Citizen not only makes their own mechanical movements under the Miyota label in Japan, but they also manufacture their own hairspring. This could solve a lot of problems in the long run. Not only will there be options for using Citizen’s hairspring as an alternative to Nivarox, but I could also imagine that there will one day be technology for manufacturing the springs in Switzerland brought over from Citizen Japan. Basically, in my eyes, Citizen is pushing to prove they are tremendous competition for Swatch Group, which they truly are. 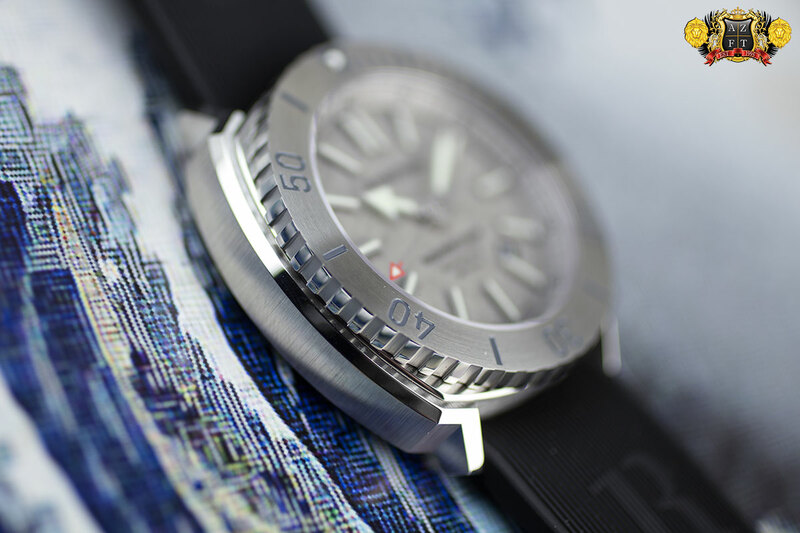 It was over two years ago that Citizen not only obtained Prothor, but also loosely stated their plans to purchase other Swiss companies, challenge Swatch in a manufacturing sense, and to one day introduce a Swiss – Japanese hybrid. To help elaborate on La Joux Perret’s manufacturing capabilities, it is important to discuss their brand & and Son. This is very innovative and highly skilled factory that manufactures these pieces. 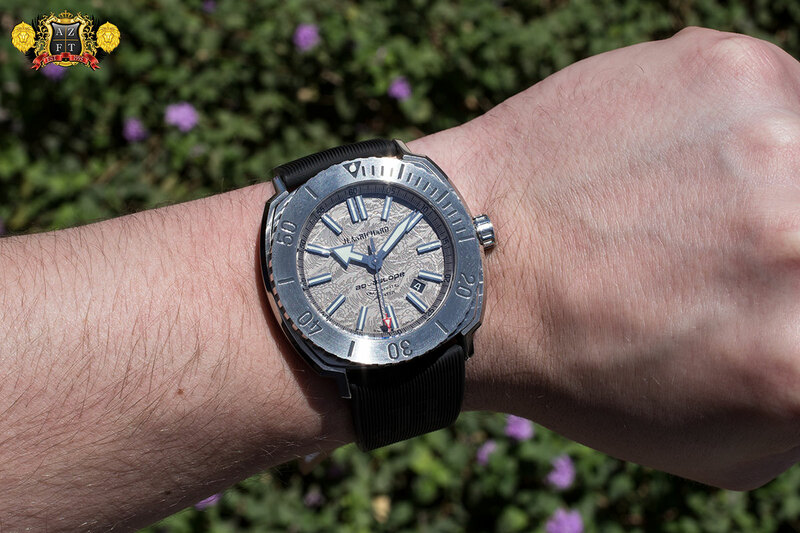 One of the most unique and interesting complications they have become renowned for is the True Beat (or Dead Beat) seconds hand. 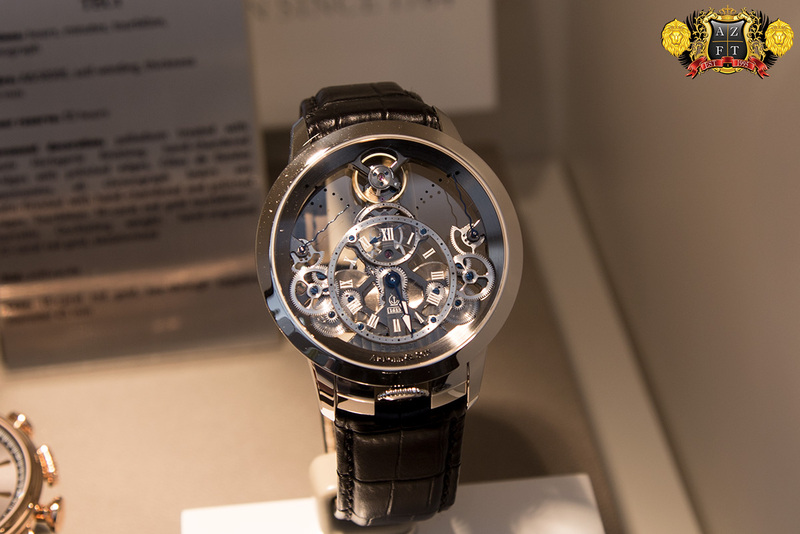 Essentially, this mechanical caliber is complex and a perfect example of Haute Horlogerie. The example above is A&S’s DSTB (Dial Side True Beat). This in-house self-winding caliber with 50 hour power reserve and rate of 28,800 bph does not express the typical 8 advancements of the second hand as most watches with this rate. Instead, the expression of seconds counting is done by having the second hand jump from second to second as you would see on a quartz, but is fully mechanical. The time (hours and minutes) is indicated at the small sub dial located in the 4-5:00 area, with the large True Beat seconds located between the 11-12:00 area. This truly impressive piece retails for around $50,000. Another unique and impressive movement is their Time Pyramid movement. This skeletonized movement features twin barrels providing a 90 hour power reserve with dual power reserve display. The first barrel will basically wind the second, transferring the energy and showing so in the power reserve indicator. The gear train is formed in a pyramid shape, showing the balance at the very top, just under the 12:00. The Time Pyramid in steel is about $30,000 and about $40,000 in 18k red gold. Aside from these complications, they also make an array of tourbillons, double tourbillons, chronographs and more. The brand also has an incredibly rich history behind watchmaker John Arnold back in the 1700’s, and his good friend Abraham-Louis Breguet. Getting back to the new Campanola Mechanical Collection, these new La Joux Perret movements are labeled as the Y513 caliber. These movements will feature self-winding plus hand winding, a 42 hour power reserve which is displayed at 6:00, a rate of 28,800 bph, 25 jewels and big date display at 12:00. There will be 2 models in the line up. The “old silver” dial on the NZ0000-58W with stainless steel case and bracelet and the black dialed NZ0000-07E on black crocodile leather. Both models will measure out at 42mm wide and 14mm thick (mostly due to the tremendously thick domed sapphire crystal with 99% clarity anti-reflective coating). The dials on these pieces will be extremely detailed and three dimensional. The process of electroforming is used in order to create the unique rippled and parchment paper look in each corresponding dial. The inspiration of “Space and above” is implemented on these dials, yet still feature a very classic look. The uniqueness of a Swiss manufactured movement assembled in Japan is reason enough to be intrigued by these timepieces, but the design will draw people in on its own. We are very excited to see this finally come to life as we have been anticipating it for nearly two years. We are sure this is not the last we will see of the new and unique relationship, and look forward to more compilations between 2 of the finest watch manufacturing countries, Switzerland and Japan. To celebrate 150 years of diplomatic relations between Switzerland and Japan, JEANRICHARD has introduced a series of special release timepieces honoring this relationship. In 1864, the two countries signed a trade agreement and established a friendship that still proves strong today. 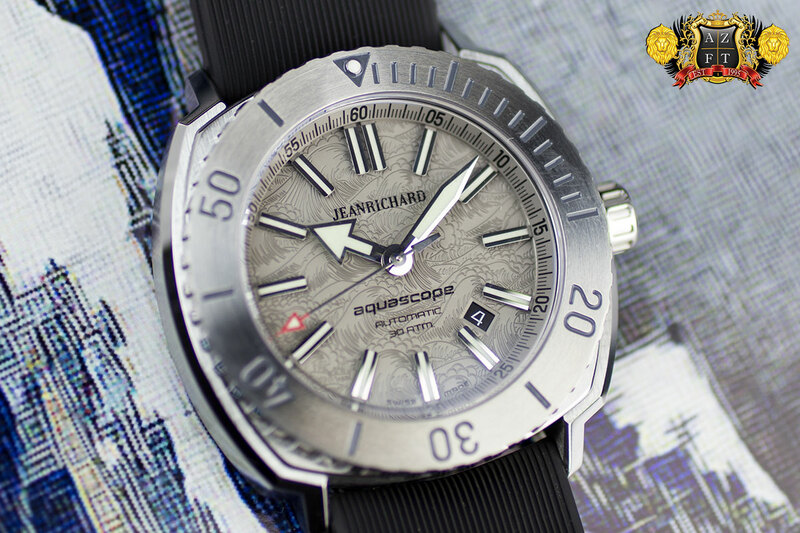 As a small production item for 2014, JEANRICHARD has intrduced their gorgeous diver model the Aquascope, with a very unique “Hokusai” dial. The reference to the name Hokusai comes from famous Japanese artist during the Edo period, Katsushika Hokusai. Hokusai created ukiyo-e wood block prints, and became most renowned for his work, Thirty-Six Views of Mount Fuji. The most popular in this series is The Great Wave of Kanagawa. Created sometime in the 1830’s, the image depicted boats caught in a tremendous wave with Mount Fuji in the background. 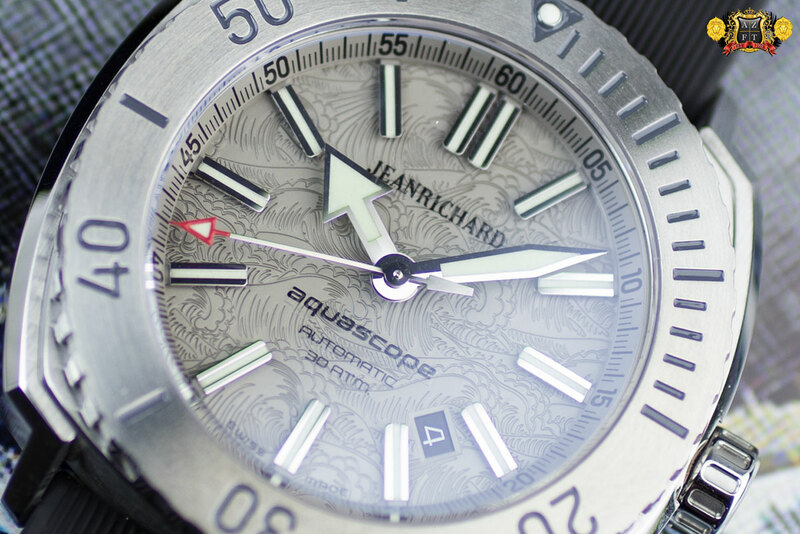 This new JEANRICHARD Aquascope features an engraved dial featuring this illustration. 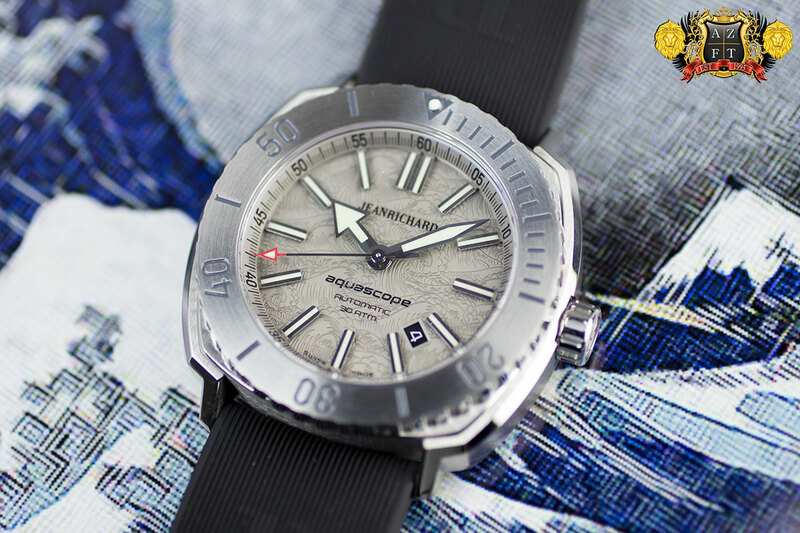 The 44mm stainless steel case of the Aquascope has a beautiful combination of satin and incredibly high polished attributes. 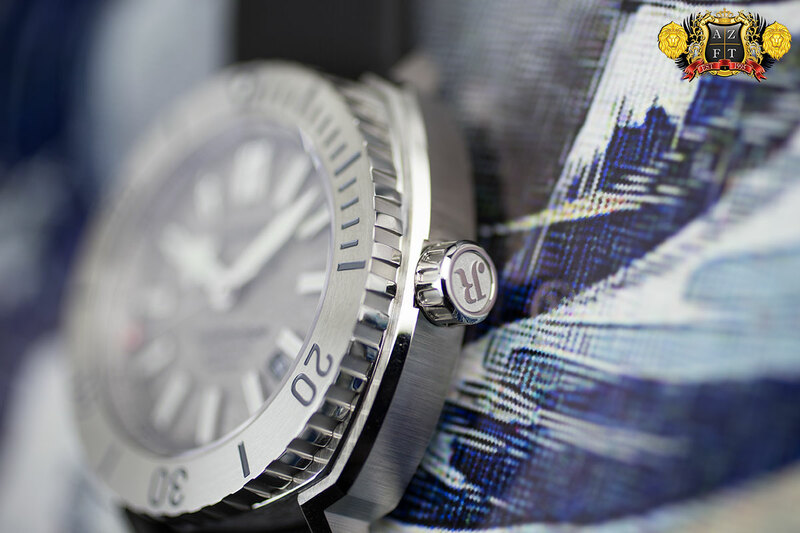 The 60 minute divers bezel is also completely stainless steel with the circular satin finish on the top, and high polish on the teeth of the 120 click uni-directional bezel. Though the case is over 13mm thick and 44mm wide, the pieces short lugs make it very wearable on most any size wrist. The lugs are actually a part of the case side inserts that are attached to the inner cushion case. The JR cases are one of the most elaborate produced in their price range, using over 20 different parts. The Aquascope will feature a 300m water resistance with screw down crown. The branded crown lacks no detail with JR logo on the end, and a colosseum design on the sides. Sapphire crystal is utilized and has anti-reflective coating to eliminate glare. The overall design is stunning, and the amount of detail expressed throughout is very impressive. I can easily say, the quality standard of JR as a brand is top of the line, even though the prices are modest. Inside it’s closed case back is the Sellita based, JR60 movement. This modified self-winding caliber has 28,800 bph, 26 jewels, hand winding, hack, and a minimal power reserve of 38 hours. This movement only displays 3 hand time, and a date displayed between 4:00 and 5:00. The hands and indexes of this model are rhodium coated, beautifully finished and give dominant legibility. A unique aspect to the “Hokusai” model is that the indexes are actually not applied to the actual dial. Instead, they are attached to the chapter ring and float slightly above the dial. This technique allows for the dials engraving to be without interruption and also gives a more three dimensional presence. 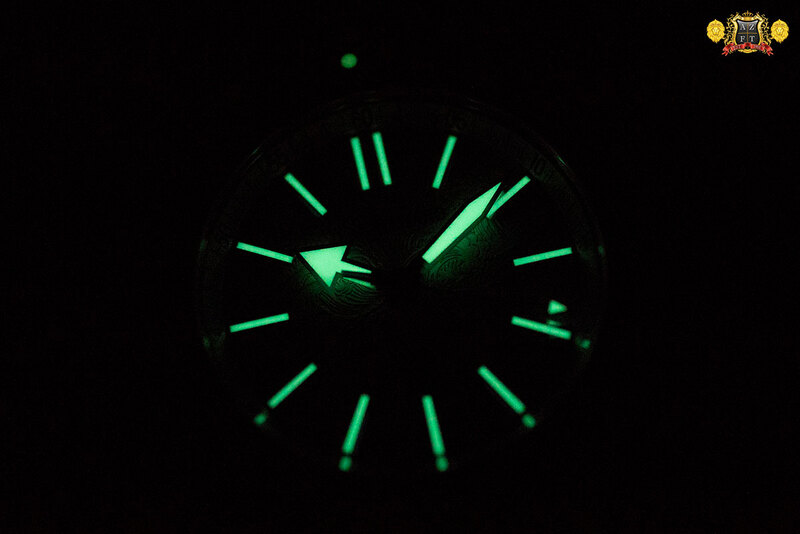 Of course, the luminous material on this diver is very strong and bright, providing great night time legibility. The 60 minute mark on the bezel is luminous, as well as all 3 hands and each index. The lume for the index lies in the middle of each index, sandwiched between the rhodium coated attributes. 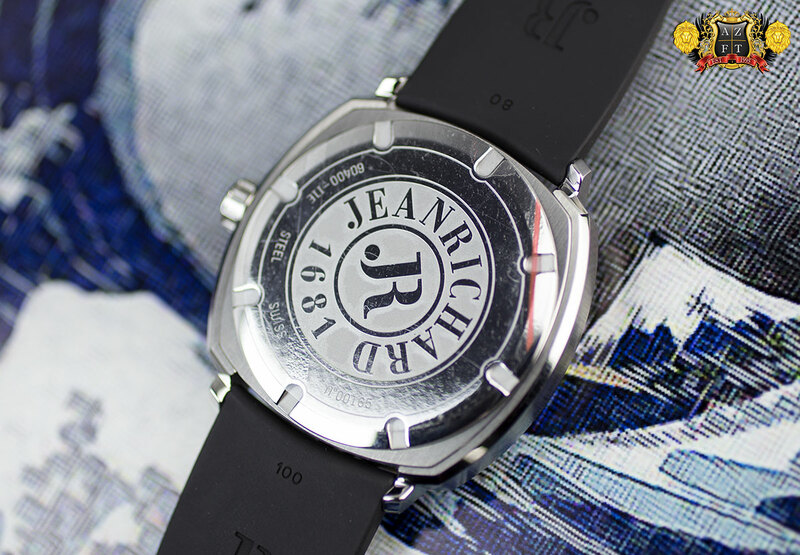 The strap is black rubber, ribbed and branded with the JR logo. 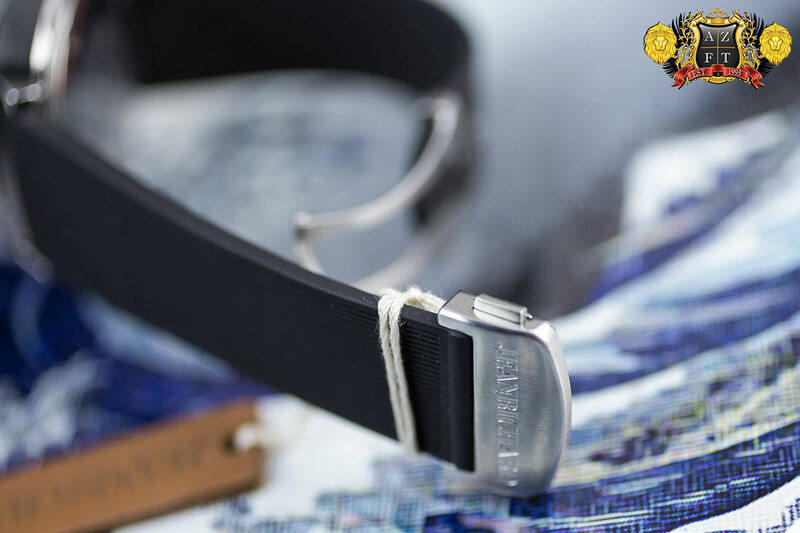 The strap also features a well constructed dual push button deployment clasp, with two steel inserts to secure the clasp to the strap. The “Hokusai” Aquascopes will come in 4 color variations, with the grey being sold as an exclusive to AZ Fine Time in the US. The MSRP on this piece is $3,300, and is now available at AZFT. As always, if you have any questions, please feel free to contact us at 1-800-486-3996 or submit an inquiry through AZFineTime.com. 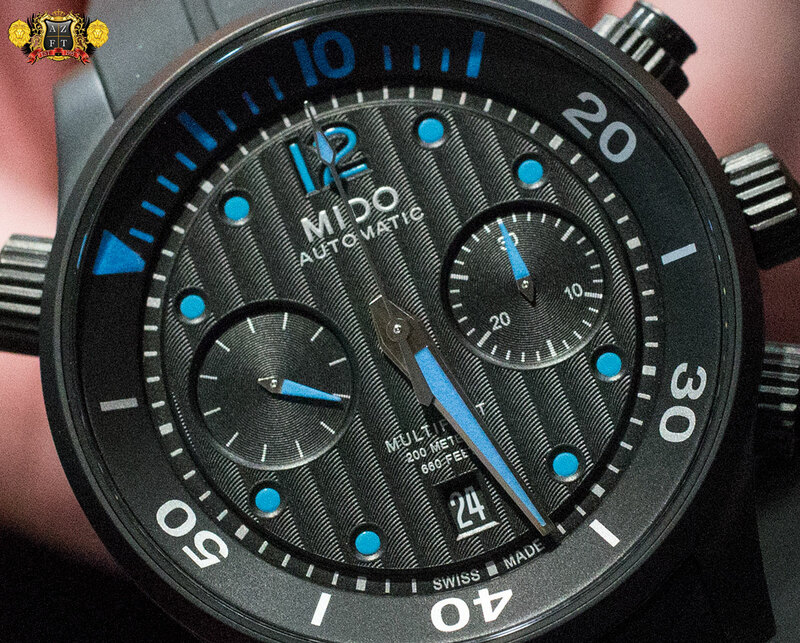 At the 2014 Baselworld Fair, Mido debuted a great assortment of novelties for the year. Most exciting, and something AZ Fine Time has been anxiously awaiting, is the introduction of new calibers to the Mido line up, with extended power reserves as you have seen in some of the other Swatch Group brands. 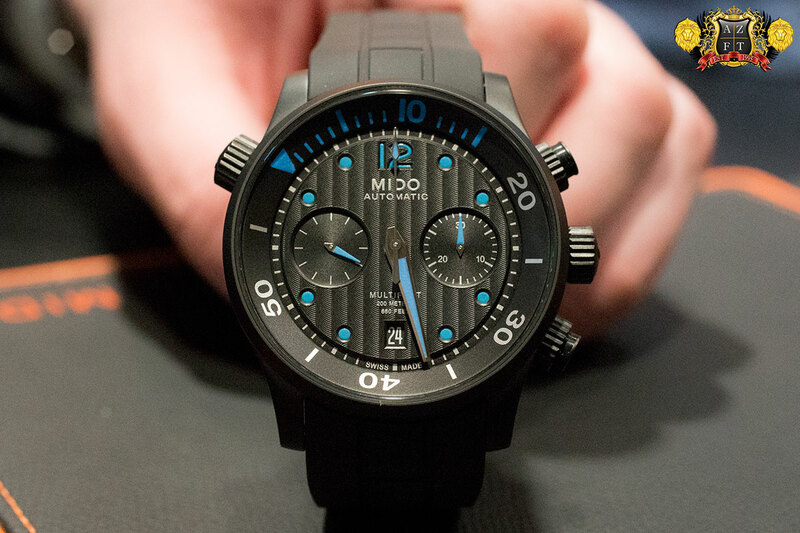 One of our favorites this year is the new Mido Two Crown Diver series, now in a new chronograph, with 60 hour power reserve. The first in this series is the M005.914.37.050.00, with cool blue accents for the hands, indexes, and the first 15 minutes of the inner rotating bezel. 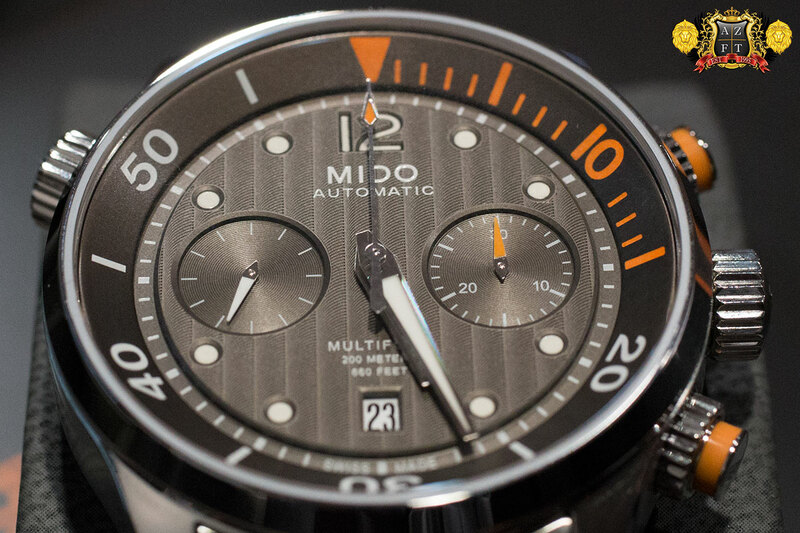 We have seen a nice assortment of black and orange color combinations from Mido in the past. The addition of this new color to the 44mm PVD case with black Geneva striped dial makes for a beautiful addition to the series that we have not seen before. The strap attachment for this model is rubber with a black PVD coated deployment clasp and will retail for $2,300. 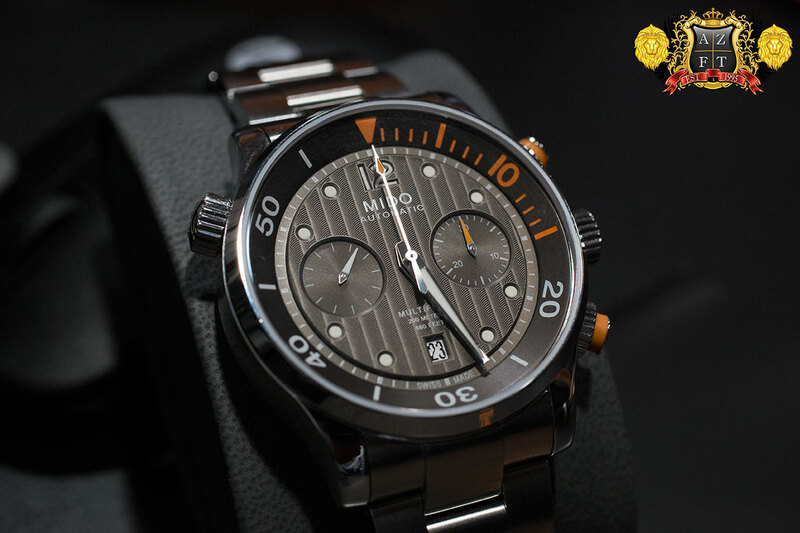 The second in this new series is a more traditional color combination from Mido including a anthracite Geneva striped dial and orange accents. Only the chronograph counters hands will have orange luminous material and there is also orange accented on the 15 minutes of the inner rotating bezel as well as the screw down chronograph pushers. The stainless steel case and bracelet will be finished in polished and brushed attributes, and have an open case back to see the highly decorated ETA base movement. As most people know, ETA is owned by Swatch Group. 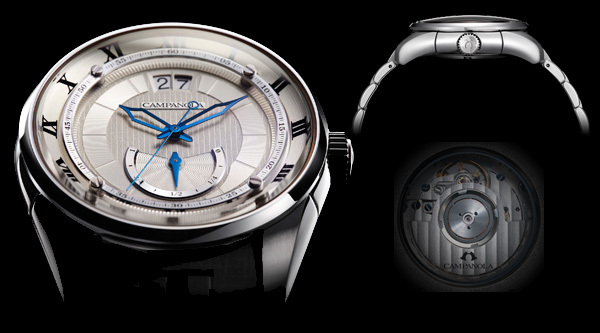 Over the years, other brands such as Hamilton and Tissot have started to debut unique movements in the brands, with exclusive calibers for each brand. 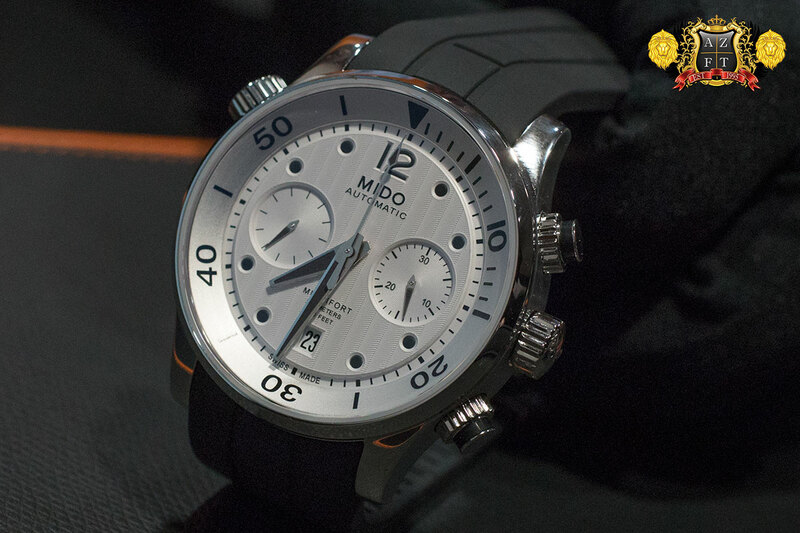 Now, Mido will have their own ETA modified movements unique to their brand. The new caliber uses an improved mainspring to provide the 60 hour power reserve and has gorgeous decoration including perlage, striping and blue screws. The M005.914.11.060.00 is set to retail at $2,230. The final piece in the 2 Crown Diver Chronograph is the M005.914.17.030.00. This model will have a silvery-white striped dial, stainless steel case, and rubber strap with deployment clasp. All models use a crown at the 10:00 for the inner rotating bezel, have screw down chronograph pushers and have sapphire crystal with anti-reflective coating. The M005.914.17.030.00 is going to be $2,200 retail. All 3 styles are scheduled for September delivery and are currently available for pre-order. As always, if you have any questions please feel free to call us at 1-800-486-3996 or submit an inquiry through AZFineTime.com.